On March 12th Google applied a broad core algorithm update. 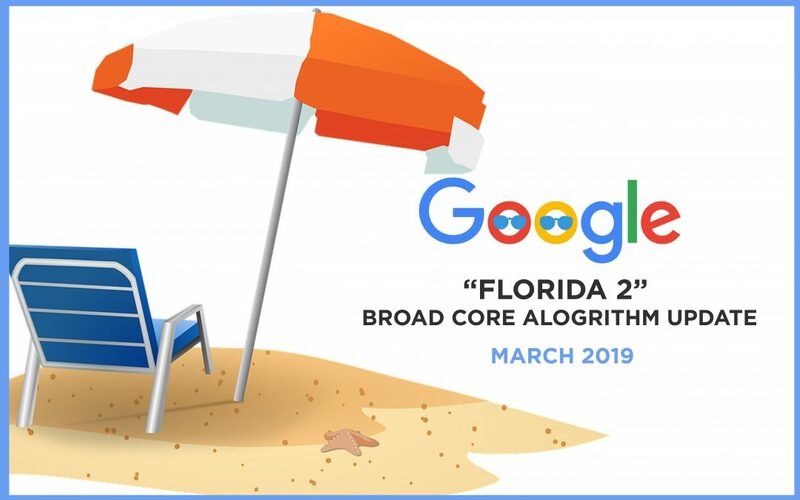 Those of us in the SEO community are calling it “Florida 2” – but Google’s name is a little more prosaic. Here is a brief explainer of what this algorithm update means for enterprise SEO, with some tips on what you can do to inoculate your site against any negative ranking changes. Broad core algorithm updates address how Google interprets search queries. The goal with a broad update is to improve user satisfaction. One past example of this was the introduction of neural matching. Neural matching did not target on-page signals or spammy links; rather, its purpose was to better match user intent to page relevancy – thus providing a stronger search experience for users. What can you do to prepare for this update? Since this update is a broad core update and is not targeting a specific industry, region or even tactical elements of the algorithm, there is nothing a site owner can do to match the change. Remember, this change impacts how Google interprets search queries, not how it browses and indexes websites. How Can Marketers Respond to Algorithm Updates Like This? Danny Sullivan says it all in his last tweet. But don’t confuse what he’s saying with writing content just for its own sake. What content should actually do is address the educational needs of your audience across their buying journey. d therefore has a different intent. Make sure you have content assets (web pages and rich media) to accommodate each stage of the customer journey, and every possible intent on the path to making a purchase. Understand that each theme should represent only one intent. Following all of these steps will help you stand up to algorithm updates. Algorithm changes, as Danny points out, are about Google trying to better match results to intent. By building content focused on your customers’ intent, you can align yourself with this core philosophy. Keep a close eye on your analytics in the coming weeks. If some of your pages drop or gain in rank position, try to understand why. Look at the keywords that have movement and try to interpret the intent behind them – then take a look at the pages whose ranks changed and ask how well they map to that particular intent. As voice search becomes more common (and it is – 35% of all Americans already have a voice-activated device, according to Forrester) Google will be able to understand intent even better. Expect the company to match voice-generated long-tail queries to conventional “typed” queries – and continue to apply algorithm updates that improve how intent maps to relevancy.